HUAWEI Ascend Mate 7 brings you the best of both worlds:a huge FHD screen on an ultra-slim metal body that fits like a glove in one hand. In fact, thanks to its almost invisible bezel and high screen-to-body ratio, it’s noticeably more compact than other 6” screen smartphones. 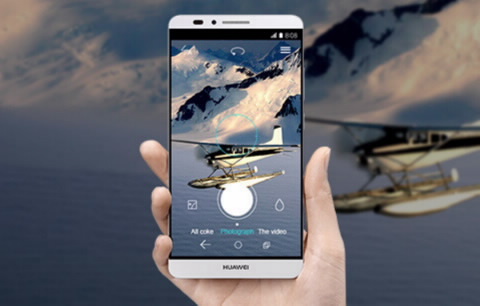 Turn on your HUAWEI Ascend Mate 7, expand your vision, and start to live large. 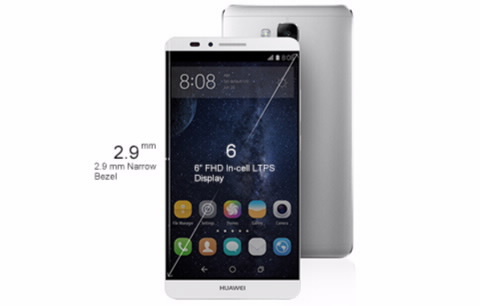 HUAWEI Ascend Mate 7 is the first smartphone powered by a super eight-core Kirin 925 SoC chipset, which uses intelligent switching to provide the perfect balance between performance and power. Ideal for the most important things, like multi-tasking or enjoying your favorite 3D games or videos for longer. 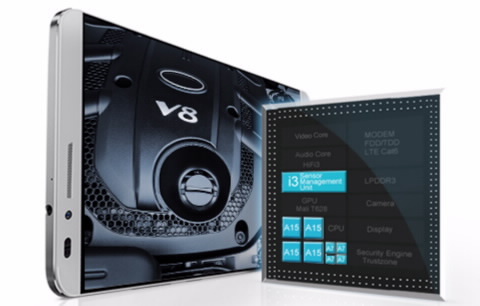 A smart technology for the smart world you live in. Life with HUAWEI Ascend Mate 7 is all about you. So just touch the sensor, located conveniently on the back of the smartphone and your HUAWEI Ascend Mate 7 recognizes your fingerprint, awakening instantly without the need to unlock or press any other buttons. Its innovative concave design and high pixel per inch ratio achieves a quick and accurate identification, making life with your HUAWEI Ascend Mate 7 even more convenient. 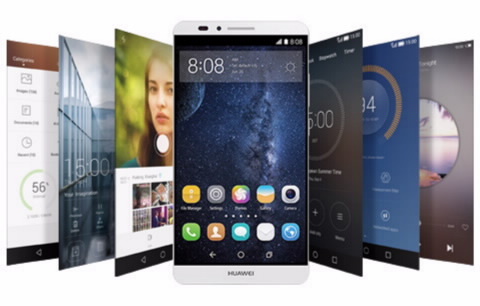 HUAWEI Ascend Mate 7 makes sure that your private life remains just that: private. All fingerprint data registered on your HUAWEI Ascend Mate 7 is encrypted and stored safely, which means that no third party can ever access your files. Any apps that contain sensitive information can also be locked and opened via the fingerprint sensor or by authorized users with Visitor Mode. An exceptional smartphone deserves an amazing camera to do justice to the important moments in your life. A 13 MP lens ensures sharp and detailed shots, while the 5 MP front camera is perfect for enhanced video calling. With 1.2-second Ultra snapshot and low-light Performance, you can make sure you capture the right moment, whatever the conditions. 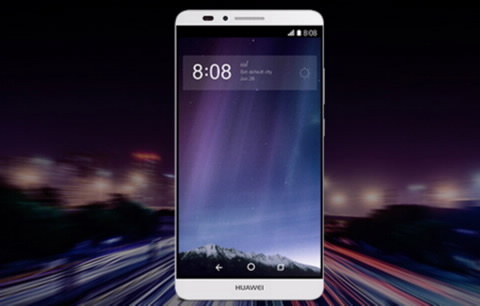 HUAWEI Ascend Mate 7's dual antenna is optimized to provide fewer dropped calls and smooth 4G LTE navigation, keeping your life fully connected wherever you are. 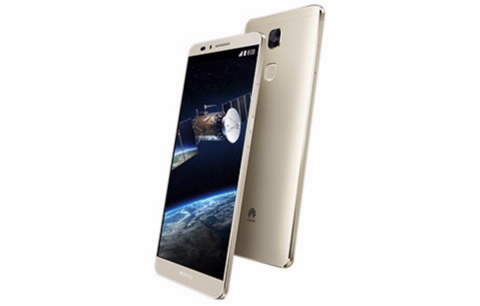 Compatible with a wide range of network spectrums worldwide, HUAWEI Ascend Mate 7 uses smart antenna switching to intelligently detect the strongest signal, choosing the ideal source for emission or reception of data. 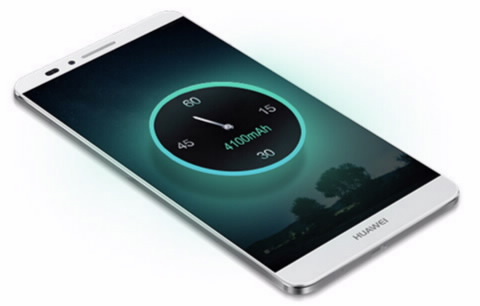 Fast doesn’t even begin to describe the experience of your life with HUAWEI Ascend Mate 7. Featuring Cat6 4G LTE technology and a download rate of up to 300 Mbps,HUAWEI Ascend Mate 7 enables you to live instantly, streaming without interruption and downloading a full-length HD movie in seconds. Despite its impressive processing power, HUAWEI Ascend Mate 7 still lasts longer than other smartphones thanks to its high-density Li-Polymer battery and unique integrated design, giving you the power to take your life wherever you need to. 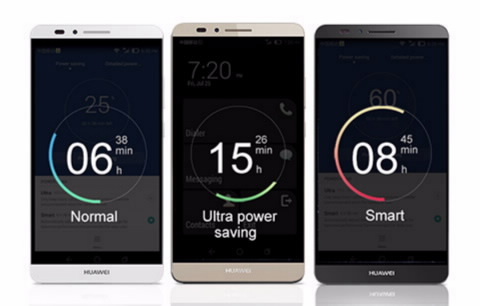 Using network efficient power saving technology, HUAWEI Ascend Mate 7 has been optimized for super-fast 4G LTE, allowing up to 30% more time to surf the web. Ultra power saving is designed to intelligently shut down the most battery draining features as your phone starts to lose power, meaning that you get extra life with the last 10% of your battery. Choose Ultra, Smart, or Normal depending on how you need to use your smartphone. EMUI 3.0 represents the next step up in user experience that simplifies your life with a revolutionary interface that provides simple operations, extraordinary functionality, and an emotional connection with your smartphone. 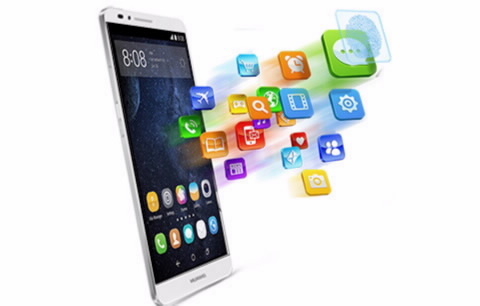 With HUAWEI EMUI 3.0 everything you do on your HUAWEI Ascend Mate 7 is easier and more enjoyable. 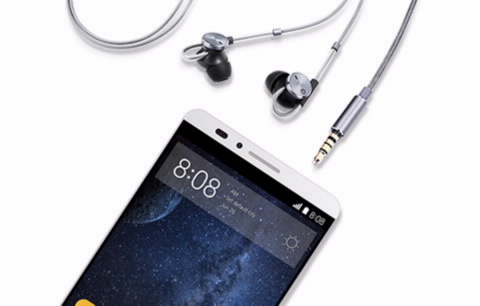 Take your listening experience to the next level with advanced noise reducing earphones, powered directly from your HUAWEI Ascend Mate 7. These headphones use active noise reduction technology to block out background sound and provide an immersive and crystal-clear audio experience for music, movies, and calls. ^Noise reducing earphones sold separately.